Madrid is the capital of Spain and the largest municipality in both the Community of Madrid and Spain as a whole. It is the third-largest city in the European Union and its monocentric metropolitan area is the third largest in the EU. It is possible to travel to Madrid by plane, train, coach or car. To facilitate the ease of reaching the venue at UPM Campus de Montegancedo, located just outside of the city center, there will be a shuttle provided to go between the city center and the campus. 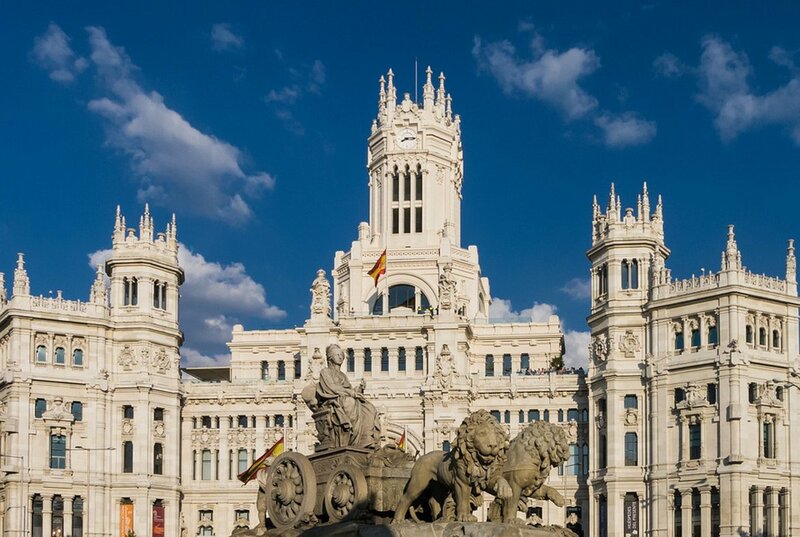 We strongly recommend that you invest in travel insurance and inform yourself about treatment and reimbursement conditions before travelling to Madrid, Spain. If you are a European citizen, you should bring your European Health Insurance Card, which is accepted in combination with an ID. What is the typical climate in Madrid? Temperatures usually rise significantly in Madrid as May progresses. For the month as a whole, there is an average daytime maximum temperature of 24° C and an average overnight minimum of 13° C, but by the end of the month, average maximum temperatures of 25 or 26° C are typical. EDUROAM is available at UPM. The official language in Spain is Spanish. Madrid is in the Central European Time Zone (CET = GMT / UCT + 1). Electricity is supplied at 230 volts (alternating current). Type C and Type F plugs are used. This 3-day hands-on workshop gives participants the opportunity to access valuable training, expertise in different areas, feedback and networking opportunities, in order to support them in bringing their research results in the fields of neuroscience, computing and brain-related medicine to market. A set of tools and practical experiences will be made available to researchers so they can experiment with different aspects of their innovative and entrepreneurial ideas. Students will be able to acquire new abilities and skills that enable them to properly understand interlinkages between problem, solution and market fit for the bio-market. Participants will be truly encouraged to translate this workshop experience into actions once back at their workplaces. The workshop is open to researchers (Master's and PhD students, early post-docs) working in the fields of neurosciences, computing and brain-related medicine. Innovation managers that wish to improve their skills are also welcome to apply. This workshop will be hosted by Universidad Politécnica de Madrid, a leading entrepreneurial university in southern Europe. 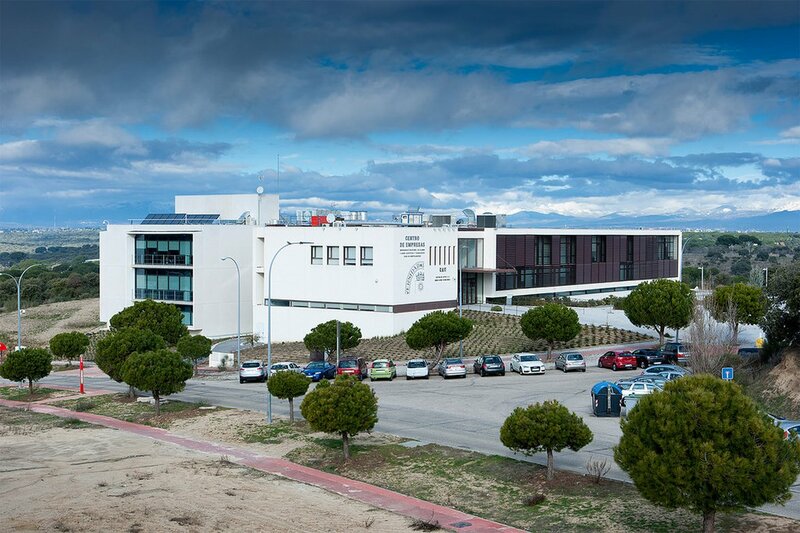 This University is the first Spanish-speaking tech university in the world and it is among the top 75 tech universities worldwide according to QS ranking 2018. The managing team in charge of this workshop has more than 13 years of experience in developing programmes in the fields of innovation, entrepreneurship and tech transfer, not only within UPM but also in collaboration with other entities and companies at international level. As a result of that, advanced training programmes have already successfully empowered more than 300 researchers with innovative skills to bring research results to the market. Esther Arias holds a Chemistry Degree from Universidad Complutense de Madrid and a Documentation Degree from Universidad de Alcalá de Henares. 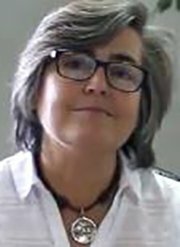 She has worked in the Spanish Patent and Trademark Office for 28 years with different roles: technical expert, patent examiner, chief of documentation service or technical advisor. She is also an external consultant of the company e-intelligent, and a part-time teacher at Fundación Cepade (Universidad Politécnica de Madrid), quarterly subject Industrial Property Rights. She has also worked as part-time teacher at Universidad Carlos III de Madrid, subject Library Automotion, Information Sources, and as part-time evaluator of RDI projects for Spanish Ministry of Economy and Competitiveness (2012-2016). This lecture will examine a range of intellectual property disciplines, like patent, copyright, trade secret or trademark, and the options of protection of research results according to them. This session aims at establishing an advanced level of IP awareness amongst students that include knowledge about dealing with well protected innovations from the very beginning of research projects, scope of IP options, patentability criteria and procedures of patent writing, filing and process of granting new patents. Effective international patent protection issues would also be discussed. 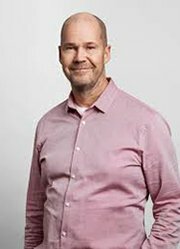 Olof Berglund works as a business coach for life science companies at STING. He has over 20 years of experience from the pharmaceutical and medtech industry, some of which from Abbott Laboratories and Glaxo Wellcome. He has worked with marketing and sales in various roles in both small and newly started companies and large multinational companies. He has built up a number of new innovative companies from start and carried out many launches both nationally and internationally. He is a co-founder of Medtech Magazine and Labtech Magazine that was sold to Mentor Communications in 2012. He holds a bachelor's degree in Economics, Marketing and Organization from the Linköping University (Sweden).. This practical session focuses on keeping on validating possible participants’ business proposals. Students will pursue further the study of biosciences sector through brief speeches and meetings carried out with industrial and business acceleration profiles. An interactive session format will be encouraged for a better use of time. The second part will focus on reviewing the emerging medtech and pharma landscapes at a European level. Participants will get to know which criteria health corporate funds or venture capital are looking for to invest in projects in these fields. For that reason, the session will be conducted by a manager from Stockholm Innovation & Growth (STING), the leading accelerator and incubator in the Nordics. Since 2002, they have worked with over 240 companies, 70 percent of which are still active and growing, 469 millions of euros funding, 1500 jobs created, 155 millions of euros revenue. Every year they evaluate about 400 start-ups applying for their programs. Matt Boardman is a sales, communications and elevator pitch coach who has helped more than 100 start-ups and large companies sell to clients more effectively. Originally from England and a graduate of Cambridge University, he was a leadership consultant in Deloitte for 3 years, during which time he managed the Major Projects Leadership Academy for Oxford Saïd Business School and the Government of the United Kingdom. For 5 years he delivered training in public speaking to charity volunteers in the UK, Kenya and Uganda. In 2015, he set up his own speaking and coaching business in Madrid, and has worked with clients like Banco Santander, Sanitas, IE Business School, Google Campus and PwC. This workshop session will help students to better communicate their technology-based business proposals through a brief pitch and/or a presentation. A methodology will be discussed so that participants would be prepared to maximise their ability to connect with the audience and potential partners or clients, learning the “dos” and “don’ts” in this field. Participants will learn how to attract attention to make themselves and their projects more attractive to major players. Students will also improve the quality of their presentations through powerful tips related to contents storyboard, body language, voice or visual aids. Doctor in Chemistry (Institut Químic de Sarrià and MBA (Universidad de Barceola). Josep Lluís Falcó has 20 years of experience in the biomedical sector. He has worked for big pharma companies (Sanofi), mid-size pharmas (Ferrer Grupo), small biotechs (Hospital spin-off), Tech Transfer Offices (Fundació Bosch i Gimpera) and consulting firms (Antares Consulting and Asphalion). His experience is based in Healthcare Strategy, Technology Transfer, Fundraising of start-up companies, Business Development, Marketing and Market Access. He has founded 4 companies. He currently serves as a board member for 3 start-up companies. In addition, in the last 4 years he has been involved in 6 private fundraising processes and he has contributed to raise 33,5 million euros for his clients. He has global knowledge of drug/device development, having worked in Discovery, Preclinical and Clinical phases, Marketing and Post-Marketing. He takes part in programs such as Caixa Impulse and EIT Health programs, participating as a reviewer, mentor and professor. This session will emphasise the importance of garnering meaningful market information in order to determine the potential of innovative products based on biotechnologies. Insights and practical tools for screening topics like market potential, key trends, competitive environment, legislation, barriers etc. will be discussed. The main goal is to introduce some techniques and tools students could explore easily within the framework of their research activities. Gonzalo León is the Deputy Rector for Innovation Partnership at Universidad Politécnica de Madrid since 2016 and former Director of the Centre for Support of Technology Innovation. 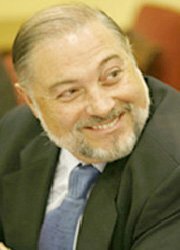 He has held relevant positions related to science and technology: Deputy General Director for international Relations on R&D (1996-1998); Deputy General Director of the Office of Science and Technology attached to the Presidency of the Government (1998-2000); Secretary General of Science Policy in the Ministry of Science and Technology 2002-2004) (as responsible of the National R&D Plan, International Relations in research and Public Research Organizations). He was Vice President for Research at UPM (2004-2012). 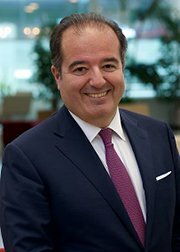 He has been a member of the Board of Trustees of several foundations and companies, and member or president of several advisory committees in Spain. He has been the Chairman of several high level expert groups at the European Commission: Chairman of the Follow up of the Lisbon Strategy Group (2006-2009), Chairman of the Space Advisory Group (2008-2012) and Chairman of the Research infrastructures in the ERA (2009-2010). He is a full professor of the Universidad Politécnica de Madrid in the area of Telematics Engineering since 1991. This welcome session will look at issues like reviewing the workshop planning and getting an overview of the workshop objectives. Javier Minguez Professor of the Department of Information Technology and Principal Investigator of the Neurotechnology Research Team of the University of Zaragoza (Spain). Professor and guest researcher at more than 10 academic institutions such as Stanford University (USA), Tubingen University (Germany) and IE Business School (Spain), etc. 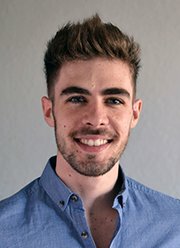 110+ research publications and 5+ patents in the areas of neuroscience, neural engineering, brain-computer interfaces, human-computer interaction, cognitive and motor neurorehabilitation, intelligent robotics and market research. R & D achievements: several pioneer prototypes of robots controlled by brain-computer interfaces (a wheelchair, a telepresence robot and a robotic arm), the first neurotechnology for personalised cognitive improvement and the first neurotechnology for the detection of emotions. Javier has received more than 25 international awards such as the Ibero-American Award for Innovation and Entrepreneurship, the second prize of the European Commission - Best ICT Company and Best Investment Opportunity, and the Everis Foundation International Business Award. Speaker in more than 300 events related to research and innovation, such as the Royal Academy of Medicine of Spain, the ICT Conference of the EU, several International Conferences of the IEEE, Campus Party. 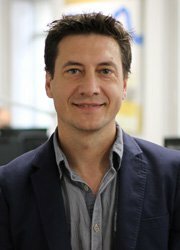 He also collaborates as a researcher and teacher in universities, business schools and accelerators throughout Europe such as the IE Business School. This practical session focuses on keeping on validating possible participants’ business proposals. Students will pursue further the study of biosciences sector through brief speeches and meetings carried out with industrial and business acceleration profiles. An interactive session format will be encouraged for a better use of time. Finally, the third part of this session will be focused on knowing a case of an entrepreneurial project in the area of neurosciences, so that students will have the possibility to identify key issues for consideration. The case will be developed by the CEO and co-founder of BitBrain Technologies. BitBrain is a company specialised in neuroscience and neurotechnology. Founded in 2010 as a spin-off of the University of Zaragoza (Spain), BitBrain has positioned itself as an international level reference in neurotechnology applications. Currently, BitBrain is present in more than 35 countries, and many international companies like L'Oreal, Disney, Nissan, Seat or Telefonica have already trusted in its solutions. Sergio Rodríguez Sergio Rodríguez holds the general direction of Pfizer Spain after having been Financial Director of the subsidiaries in Spain, Portugal, Ireland, Austria, Greece and Israel, and head of finance for the Medium Markets of Europe in Primary Care, since joining the company in 2010. He has a degree in Economics from the University of Seville and a master's degree in Business Administration from the Universidad Complutense de Madrid. 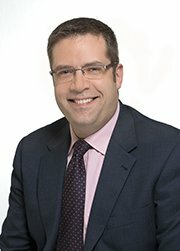 Before joining Pfizer, he served as Chief Financial Officer at Hewlett-Packard Spain and Portugal, Allied Domecq and Polaroid and was an auditor at KPMG. This practical session focuses on keeping on validating possible participants’ business proposals. Students will pursue further the study of biosciences sector through brief speeches and meetings carried out with industrial and business acceleration profiles. An interactive session format will be encouraged for a better use of time. The first part will deal with sharing insights about current demands of medtech and pharma innovative products and key trends in these sectors. For that reason, Pfizer Spain will provide insights into the comprehensive knowledge of global healthcare markets and their innovation trends. Pfizer is one of the world’s largest research-based pharmaceutical company. Arístides Senra holds an MSc in Industrial Engineering (2002) and an MBA (2006) both from the Technical University of Madrid. In 2004, he got a grant to develop a project of Entrepreneurial Marketing and Sales for Technology Companies at MIT. He has worked in companies such as Indra and ABS and currently he is the Director of Innovation and Entrepreneurship Programs at UPM. 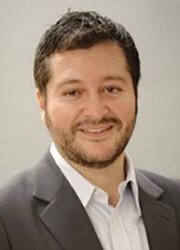 In 2004, he co-founded the Business Plan Competition actúaupm. The actúaupm Competition has supported the creation of 240 new companies that have attracted more than 60 million euros from investors. He teaches master subjects such as strategy, marketing and business opportunity and has participated in the launching of three start-ups. He also lectures at the European Institute of Innovation Master School and postdoctoral training programs. This lecture will examine how to easily apply a methodology for an agile business validation of technologies or ideas. Students will be able to identify the technology core and the status used to develop a potential business idea in their research fields. As a result of that, they will be motivated and capable of having a business mind-set from their technological background. Keys for understanding the benefits of developing business ideas in a competitive ecosystem and how to take advantage of opportunities will also be provided. This session will discuss how to design a business model to make a technology opportunity feasible, using some business case development tools. Students will gain practical knowledge about finding potential applications for their technologies and modelling possible value propositions based on them. Practical tools will also be examined in order to get more insights in potential customers and therefore to accelerate towards a problem-market fit approach. In addition, technology transfer models university/research centre – industry could be explored (licensing, spin-off, joint development of products). 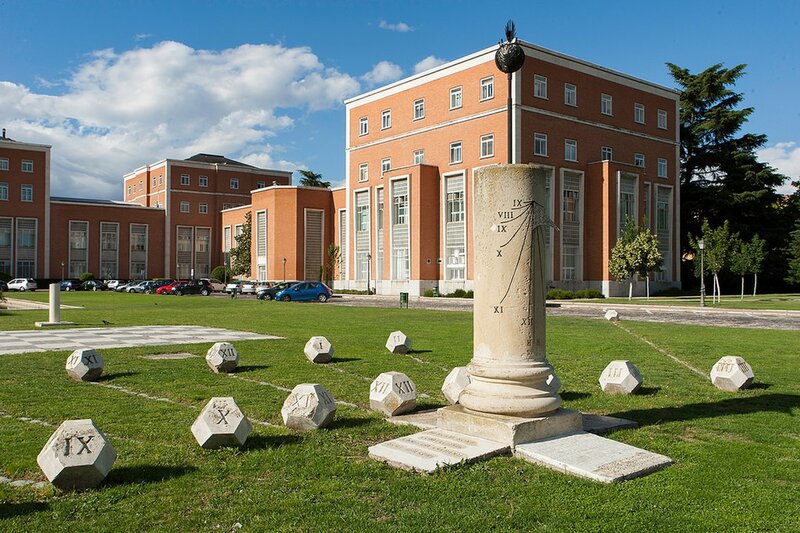 The Technical University of Madrid is a leading university in architecture and engineering education in Spain. It is internationally renowned for the quality of its courses and the research undertaken at its schools, departments and institutes. The degree programmes that it offers cover all areas of architecture and engineering in today’s society, on which technological advances have a decisive impact and for which scientists and engineers are taking on more and more responsibility. 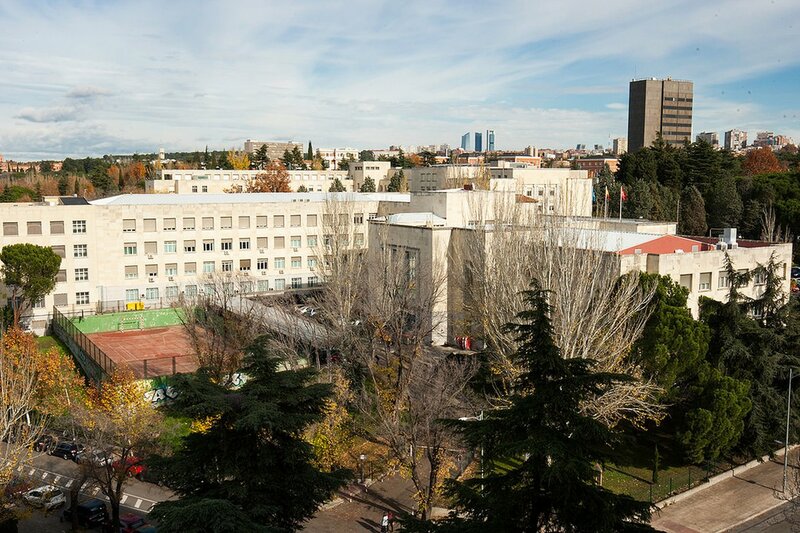 To guarantee the training of future generations, the Technical University of Madrid combines the four main roles of a modern higher education institution as an exponent of the global service that a university should offer in our society: teaching, knowledge generation, knowledge transfer to sectors of production and administration, and the popularisation of science and technology.